You’re probably looking for a tough knife that can work as hard as you do and is a quick, easy open for those times you’ve only got one hand free. If you are, a spring assisted hawkbill knife definitely needs a look. 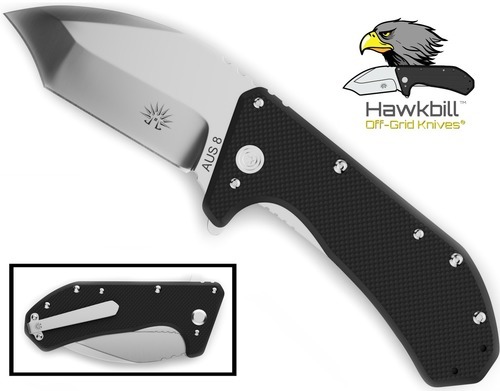 A spring assisted knife is a folding knife that uses a mechanism to push, or lever the blade open. 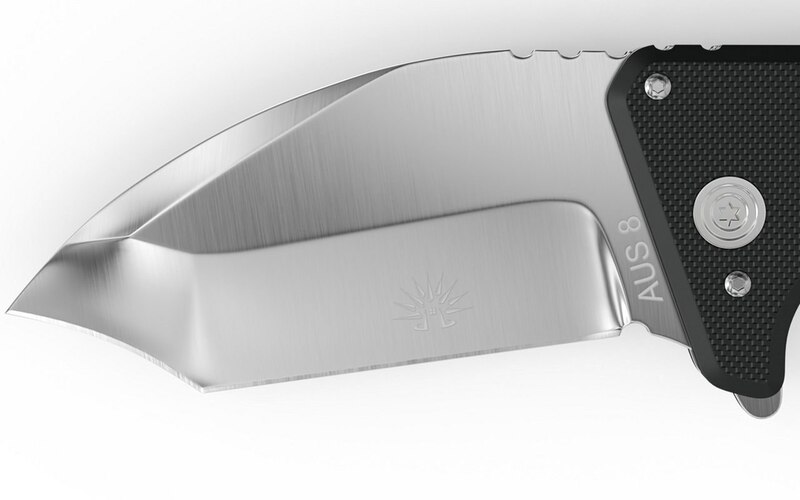 Using thumb studs or a flipper, the user begins opening the knife. At a certain point, the assisted open takes over and flips the blade open the rest of the way. It should only take finger pressure only to begin the motion. If you have to flick your wrist, then you either don’t have an assisted open knife, or the mechanism is faulty. It should be noted that a spring assisted open is not automatic, which is illegal in several states. The mechanism automatically deploys the blade with the press of a button, so if the knife is in your pocket and the button is accidentally pressed, you will have an open knife in there. An assisted open must be opened by you, and cannotaccidentally be deployed in the pocket. Hawkbill knives offer a high degree of control, courtesy of the inward curve of the knife, and the wide blade makes it even more durable. So pruning branches, cutting rope, line or wire, and even opening feed bags becomes quick and easy. More recently, hawkbills have seen a rise of use in tactical and survival situations, particularly modified hawkbills. While the exact use varies depending on how the blade was changed, they have been used for combat and self-defense in the past. The wide blade can be used to lever smaller items and baton wood into pieces for a fire, as well as its usual tasks.